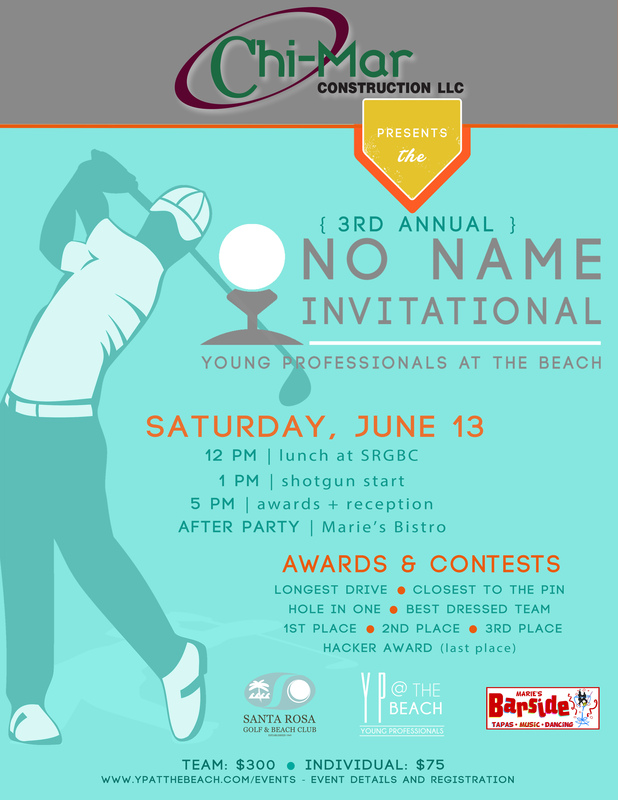 Join us Saturday, June 13th at Santa Rosa Golf & Beach Club for 3rd Annual No Name Invitational Golf Tournament brought to you by Chi-Mar Construction! Lunch provided by Marie's Bistro at noon and a shotgun start at 1pm. Tons of prizes and surprises throughout the day! Official after party at Marie's Bistro! Interested in playing? Teams of 4 are only $300! Interested in being a sponsor?